Wowee what an epic start to summer! With the sun shining and the winter blues far behind us, we're pretty stoked for a summer-long lineup of killer live music, festivals and arts and culture events and this weekend is no exception. 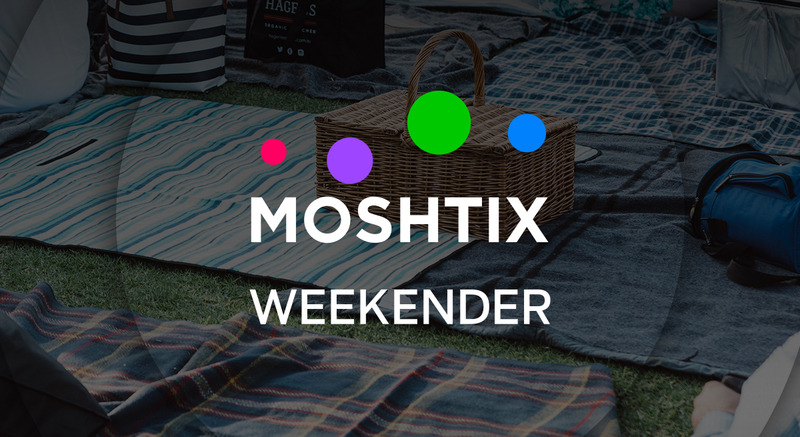 Check out our top picks for the weekend below. Cam Moore and Myles Attwood-McNeil launch their new skateboarding company at Revolver Upstairs this Friday. Come celebrate the new project with an exhibition of their first range of skateboards and t-shirts. If skateboarding isn't your thing then head north to Howler and get your stocking stuffed early this year by dynamic duo Melissa David and Peppy Smears in their Christmas-themed cabaret spectacular! On Saturday Day N Nite summer series is back, bringing you an RnB summer series like no other! Gather the crew and head to Top Yard Rooftop for a boogie in the sun. Settle into Sunday with seven live comedian performances, music, food and wine amongst the beautiful grounds at Brown Brothers, Milawa for Comedy Amongst the Vines. It's everything you could possibly want in a Sunday arvo am I right?! For all our underage Moshers in Melbourne, singer-songwriter Jeff Rosenstock is playing an all-ages show at Wrangler Studios in Footscray this Sunday. This is also the first time down under that he's bringing his full five-piece band on tour so you won't wanna miss this show! Come for a boogie with our fave high-energy party starters Northeast Party House who are playing a show at Fat Controller this Friday night. This Saturday, remove the stone of shame and attach the stone of triumph, the biggest date on Adelaide's rock and roll, STONECUTTERS is back! Heading up the dual-stage party, held at Fenn Place are hometown heroes Bad//Dreem, accompanied by The Chats, Slowly Slowly, Pist Idiots and Press Club. For something a little more chilled, check out Aussie indie roots artist Jordie Lane at The Grace Emily from 4 pm as part of his 'Dreamin' The Life' Tour. This Friday, check out five-piece Aussie Alt-Rock band The Rubens at the newly reopened Hobart Uni Bar. Doors open at 7.30pm. On Saturday, The Grand Poobah welcomes Cut Snake to the stage, serving up a platter full of groovalicious Disco-House tracks for you to get your groove on to. If you're in Canberra tomorrow then we suggest you check out deep house & indie dance music sensation Nora En Pure as she ripples through the sonic sphere with her beautiful blend of electronic beats at Mr Wolf. If you're in NSW, then Saturday is your day to party! 15 of Australia's best Craft Beer Breweries come together at Rusden Street Carpark to create 15 new brews for you to taste test using locally foraged ingredients from their area! Forage Fest is also bringing an epic music lineup to the table with performances by Kasey Chambers, Tim Rogers, Darren Hanlon and heaps more. Stella Donnelly shares her talent with the crowd at Oxford Art Factory, showcasing the first taste of new music, supported by Alice Sky. Stella has also partnered with PLUS1 so that $1 from every ticket goes to The Yiriman Project to support their intergenerational, "on-Country" cultural program, conceived and developed directly by Elders from four Kimberly language groups, aimed at strengthening individual and community well-being through traditional knowledge and governance. Barney Cools also celebrates its 4th Birthday with a cruise around Sydney Harbour, featuring DJ sets from Client Liaison, Yolanda Be Cool, POOLCLVB and friends. There will also be complimentary food and a heap of free giveaways to win! On Sunday our good friends at Yours and Owls bring you Illawarra's favourite Sunday session, featuring the best local and visiting talent Australia has to offer including performances by Ivey, Not A Boys Name, Moonlover and Kid Fiction, held at North Wollongong Hotel from 4 pm onwards. Cash us outside at Eatons Hill Hotel patiently waiting for rap phenomenon Bhad Bhabie, who plays in the Grand Ballroom this Saturday. Bhabie will be dropping tracks from her freshly released mixtape 15 (out now through Warner). How bow da? If rap ain't your thing, check out UK headlining DJ Dave Seaman at Capulet Bar from 2 pm this Sunday, playing non-stop house bangers all day long! Three-piece, Wollongong Atomic-Surf-Noise-Rock project, White Blanks are combining the likes of modern Garage, Psych, Grunge and Punk rock this Saturday night at MOLO Live, bringing a live experience that can be explained as 'full of energy, in your face flaring attitude with a sense youthful playfulness'.